And 3,2,1….Get ready for all the questions from your friends, family and co-workers. When’s the date? Where’s your venue? Were you surprised? Can I see your ring? When are you planning on having kids!? Don’t allow the pressure of family and friends questions to add stress to your journey. We know it can become repetitive. Just remember, this is a time in your life that you CAN brag about the glory, the enjoyment and the emotions you feel. Of course you aren’t going to have all the questions answered right away, but with these 8 tips you will soon enough! Congratulations again and happy planning! Diamonds are a major investment for most couples. You’ll first need to have your ring appraised to evaluate it’s worth. They will evaluate the 4 C’s of a diamond: color, cut, clarity, and carat weight. To give you an idea, the cost of insurance on a $10,000 ring is roughly $200 annually. Your insurance can just be added to your homeowners / renters policy. While having your ring appraised, consider getting it sized as well. You’ll feel a bit naked and sad giving up your beautiful new ring, but when you get it back it’s like you just got engaged all over again! Jewelers can take up to a couple weeks to get your ring resized, so make sure to plan this around your engagement pictures/family visits so you don’t miss the opportunity to show it off! Spread the love and announce your latest news! Share your pics and the special moments captured. If you had a videographer record your marriage proposal, you may want to post it on social media so your friends and family can witness your emotions and see how joyful your engagement day was. Ok so now begins the long standing debate of the destination vs local wedding! Some travel agents coordinate with hotels/venue/room blocks for destination weddings. There are also event planners specializing in destination weddings. Couples that decide on a destination wedding tend to deal with the event coordinator at the venue they choose. Just be aware that some venues and coordinators are subject to “island time” and responses may take longer than you’d expect. Think about some of the pros and cons of a local wedding vs destination. Once you have where figured out, the real fun begins! Before you start planning anything you’ll need to figure out your budget. It’s time to talk with your family on who will help pay for what. It may be awkward, but the conversation has to happen and the sooner you have the answers the sooner you can start planning! Don’t expect your family to pay for anything. Receive their gesture as a blessing. Before you pick a venue you need to figure out how many people there will be. Be realistic about the number of guests you’re inviting to avoid stress later on. The Knot just made life a lot easier. Nearly every vendor in your area is listed by location, distance, style, and price range. Videographers, Florists, Jewelers, Venues, DJ’s, Beauty, etc. are all on this website where you can effortlessly keep track of all correspondence. If you don’t have the time or don’t want to DIY you should consider hiring an event planner. A few of our favorites in the St. Louis area are Saving Grace Occasions, Allyssa Elaine, Events, Hillary J Events and K.Hart Events. Time to start pinning if you haven’t started already! Make a private board on Pinterest so friends that follow you won’t see your pins. There are sooo many options to look at; centerpieces, dresses, beauty tips, color schemes, dessert ideas, hair styles, and so much more. Creating these boards will help when it comes time to meet with vendors. 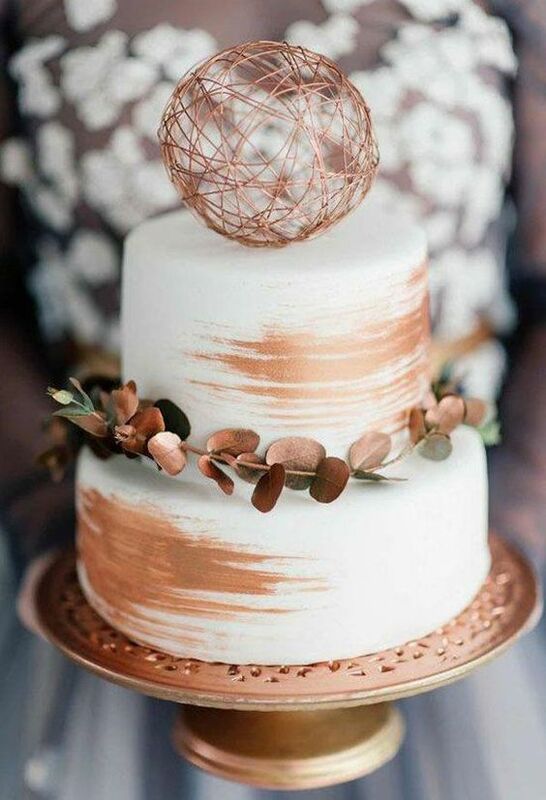 You will certainly have a picture or five ready to show the bakery the style cake you want or to show the florist what type of flowers you’re going with. This website should help you get organized, but don’t be overwhelmed by the amount of information. Remember, this is YOUR wedding and it doesn’t have to look like all the pictures online. Pickup a magazine from Saint Louis Bride and start creating your vision board! Get inspired! These visuals make everything more exciting. The articles share about planning, real wedding stories and local vendors. STL Bride will keep you in the loop about everything going on in the St. Louis area and of course all the latest trends. *Planning Tip* We’ve heard it helps to make a new email address for your wedding planning correspondence with vendors. This way the messages won’t fill up your personal email and you can share access with your partner, parents or whoever else is involved with the process! Get out and actually meet those that will be a part of your big day. You most likely won’t find all of your vendors through a wedding show, but it might be nice to see what all is available in your community. Search for vendors that invite you into their office. This is (one of) the most important day(s) of your life. Work with people that appreciate and understand that. Always meet your vendors face to face. It will help put you at ease. -DO pay attention to your own relationship! Think about what is special about it and use that to help form an idea that is unique to the 2 of you (Need help with an idea? We offer proposal planning HERE) *Want to give your partner a little push to propose? Drop a hint HERE. -DON’T forget about a budget…after all, the engagement is only the first step in the beginning of your wedding planning! -DO take into consideration what your significant other would be comfortable with. For example, would he/she be more comfortable in public or private? Would your partner want an intimate experience with just the 2 of you? Or would they want family and friends involved? -DON’T make the proposal TOO complicated. Keep the focus on what matters… the proposal and your relationship. -DO be creative… think about the details. Do you want to document this? Videography? Photography? -DO prepare. Practice what you are going to say. -DON’T just utter “will you marry me?”. Tell your partner why! Now is the perfect time for romance. -DON’T spill the secret. Be careful how many people you tell before your proposal happens! The last thing you want is for the element of surprise to be ruined. -DO share the news after the proposal happens… but take the time to reflect on your engagement, just the two of you before publicizing. Announcing an engagement is a big deal! Wedding Cakes are becoming less and less common. It’s 2019 and we are all about change! 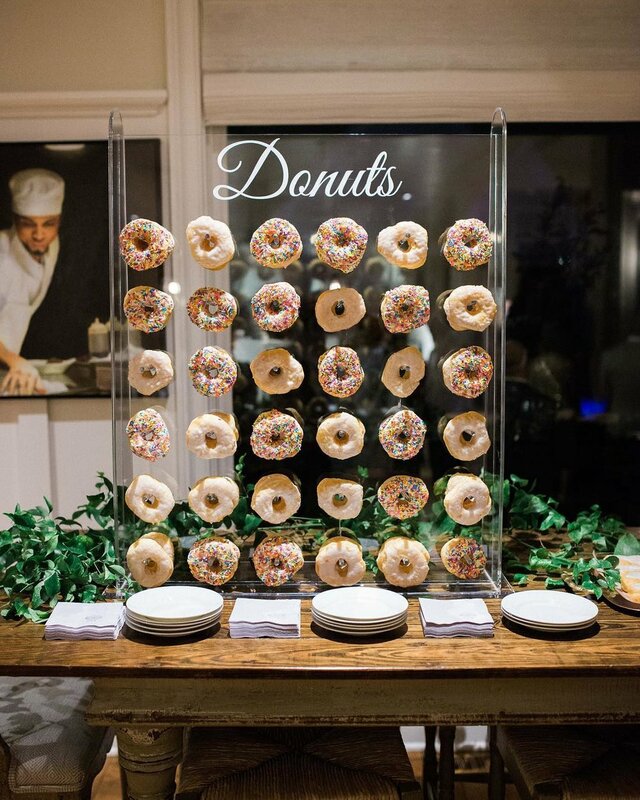 Macarons, cake pops, doughnuts, waffles, cookies and pies are in the running for some of the most delicious wedding desserts. Even the display of the sweet treats are becoming a large part of decor. Photo Booths pictures are a special keepsake. If you are looking for more of an organic touch, see if your Photo Booth company offers a naturalistic background. There are SO many options organic, floral, balloons, greenery, fairy lights, pallet board, etc. Decor: Earthy and inspired by nature. 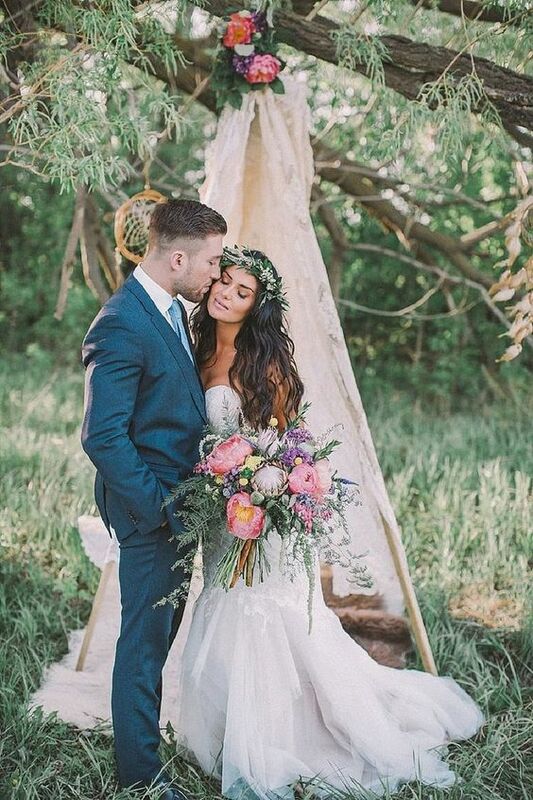 Natural elements of the breathtaking outdoors, floral garlands, dream catchers, feathers, cactus, rustic wood, and wild flowers are a must. Glass bottles, boho rugs, and fairy lights are all great ways to decorate a Bohemian Wedding. You can’t go wrong with using natural materials, as well as vintage furniture which pulls the look together. Hairstyle: Brides can opt for an updo or downdo… as long as there are waves or braids. Trendy headpieces such as, metallic flowers, gold draping crystals, natural greenery, and lace scream Boho. Get a hair trial with the St. Louis Experts at Belleza Hair and Makeup Salon. **Not only does this salon cater to the bride and bridal party, but they make the men feel special by dedicating an entire space for the groom and groomsmen in their barbershop. They give fresh shaves, haircuts, beard trims all while enjoying the atmosphere and cold drinks. Color: Warm earthy colors are popular, as are metallics. Browns, dark greens, and grays with a deep purple, and or red-orange pop. The combination of these colors is what makes this style unique. Still trending! What’s popular? Eucalyptus, sage, hops, lambs ear, lemon leaf, leather fern and more. Your local florist should have exactly what you are looking for! In the St. Louis area Rouge Events & Designs tends to have exactly what bride and grooms are looking for. Check out their portfolio for ideas for your special day. Not capturing the moment through videography is the biggest single regret couples have post-wedding. There’s nothing like reliving your special day; seeing your Dad walk you down the aisle and hand you off, your Grandpa moon-walk on the dance floor, and watching the celebration unfold, family and friends gathered together to celebrate you — a timeless memory only a gifted videographer can capture. Your night goes so fast. Moments are missed. With video, they aren’t. For those at a venue with a picturesque view, don’t forget a drone shot. This is the latest and greatest way to capture another perspective of your once-in-a-lifetime day. 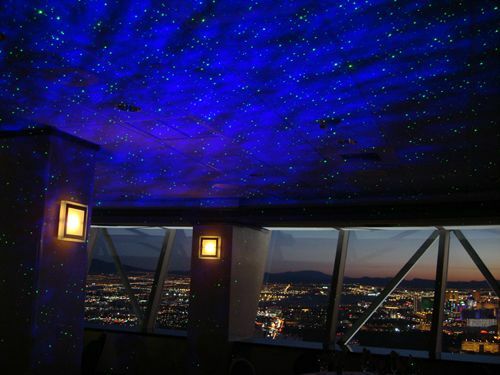 Light up your wedding reception; decor that demands attention. Customize a neon sign to place above your sweetheart table, dessert table, entertainment stage, or on a green wall for photo backdrop. Choose different fonts, sizes, and colors to accent your theme. *Coming in hot* Copper, Bronze, Rose Gold, Silver, and Iron shades are taking over. These shimmering metallics are fun, yet elegant with a modern twist. From decor to dresses these colors are gorgeous! The best part is, Metallics go with almost any theme from greenery, to boho-chic, to industrial. Rolling into 2019 and hashtags are still trending. A few websites we’ve found popular to create your wedding hashtag are listed below.